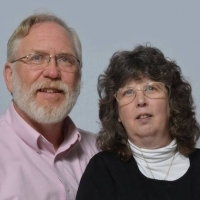 Tom & Karen are life long friends who were instrumental in encouraging me to follow the call of the Lord. They have faithfully continued to do so for some 25 years, handling whatever needs I may have, e.g. accounting, taxes, logistical and organizational suppport, etc. They are a total blessing! Tom is currently finishing up his Master's degree through WWU in Rehabilitation Counseling, to graduate in August 2014. Karen has always been an active housewife and mother, as well as an advocate for special needs children. She is kept busy witht their 2 grown children, Stephen, and Anna.